This month’s offering from Global Tea Hut is a pair of organic teas from Mr. Xie in Ming Jian, Nantou, Taiwan. One is processed as a green oolong, lightly roasted. The other is processed as Hóng Chá (红茶), or what we might call “black tea”. 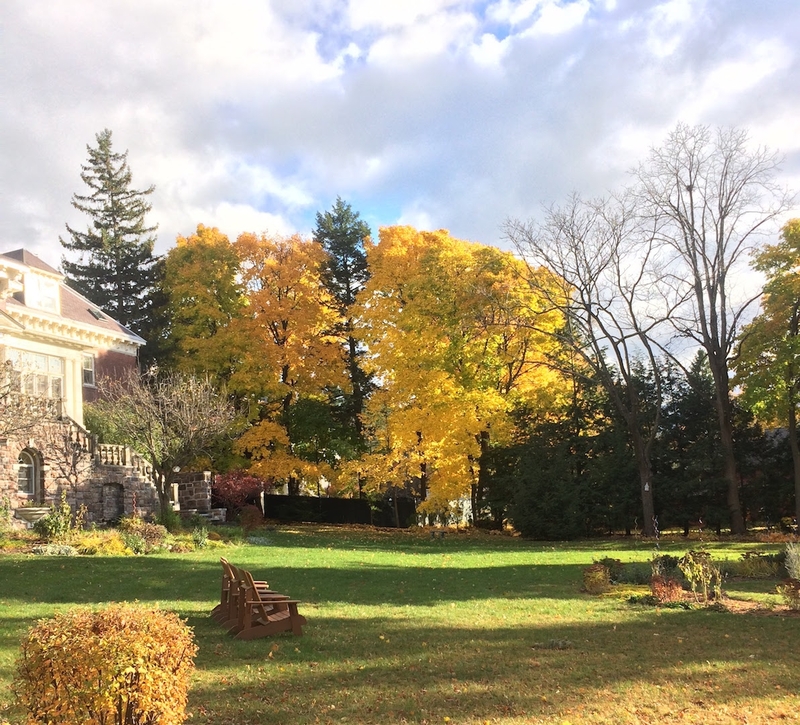 Both sets of leaves were made from the same garden and (I believe) around the same time, which makes this a very interesting comparison indeed. I set up another tasting, much like my post on bi lo chun last week, with two small gaiwans and my small Totoro tea pet to assist us with his invaluable perspective. 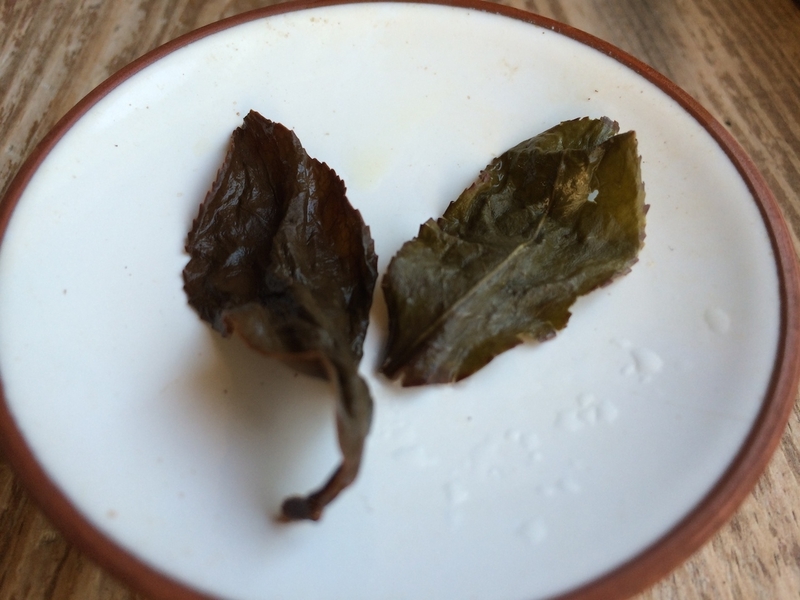 These two teas are quite different, despite their similar origins, and further demonstrate the profound effect of oxidation, rolling, and roast. The warmed leaves have a delicious aroma. The oolong smells buttery and with an unmistakably light roast and the scent of chestnuts. The hong cha’s leaves give off a hint of candy sweetness, but mostly smell of dry bark in spring. When I say “warmed leaves”, I mean the leaves in the pot before they’ve been infused. It’s possible I’ve never mentioned this here, but if you warm your teapot before brewing, try putting the leaves into the empty pot just afterward and quickly shutting the lid to let them absorb some of the moist heat remaining. After a few seconds, lift the lid and inhale the aromas of the warmed leaves. This can produce an amazing effect, all before even adding water to your leaves! Both of these teas have been allowed to grow without pesticides, which means that many of them have been nibbled by small insects before the harvest. This can be a very desirable event. The resulting tea, characterized by the iconic Bái Háo (白毫茶), tends to have a sweet rich flavor like honey. This tea magic is due to several factors including defensive compounds that the plant releases when it is attacked, as well as the beginning of oxidation while the leaves are still on the tree. I can taste the effects in both of Mr. Xie’s teas. The oolong (infused with no rinse at around 2 minutes) produced a golden liquor. The flavor was buttery with quite a roasted and honeyed aroma in the mouth. The roasting of this tea was clearly done with a lot of skill! The finish was crisp and short, not lasting as long as I wished, but that only encouraged me to make a second cup! The mouth feel was very pleasant, more light and silky than thick and creamy, but it paired well with the aromatics of this tea. The third infusion brought out something like the flavor of oranges, which perhaps was there before but hidden by the roast. Usually I would say “citrus” here, but in this case that word really didn’t fit; I was really getting the sense of oranges. 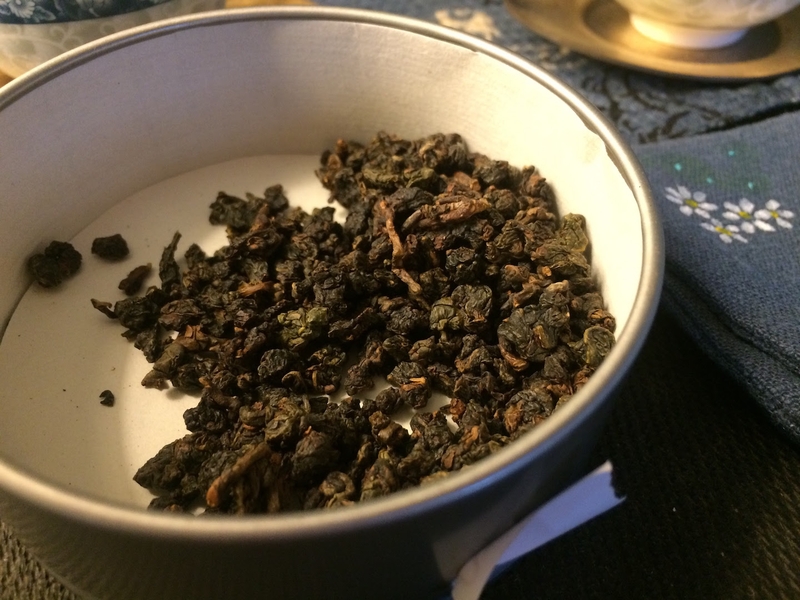 The oolong tea is bug-bitten, plucked, withered outdoors, and then indoors, shaken and mixed in piles (jiao ban), withered more, pan fired (sa cheen) to arrest oxidation and kill green enzymes, rolled to break down the cells and further oxidation, as well as to shape the tea (ro nian), and then roasted twice — once to dry the tea and then for a longer time to add flavor and fragrance. The Hóng Chá’s liquor was a delicate tan, as expected, and the wet leaves had the sweet smell of candy sugar. The taste, however, was very surprising. I was expecting something like either the minty quality of Sun Moon Lake or the chocolate notes of Feng Qing, but instead it reminded me of nothing else but maple syrup. Not that extremely sweet Grade-A stuff or the sugar paste that you find in restaurants, but thick, dark, Grade-B maple syrup fresh from the tree: still sweet, but more like caramel (if you were under the mistaken impression that Grade-A maple syrup means higher quality, you might be surprised to know it’s just a designation of color and season of production). The red tea is also bug-bitten, plucked, and then withered indoors, piled on bamboo mats for 12-24 hours. It is then rolled for up to ninety minutes before being roasted dry. 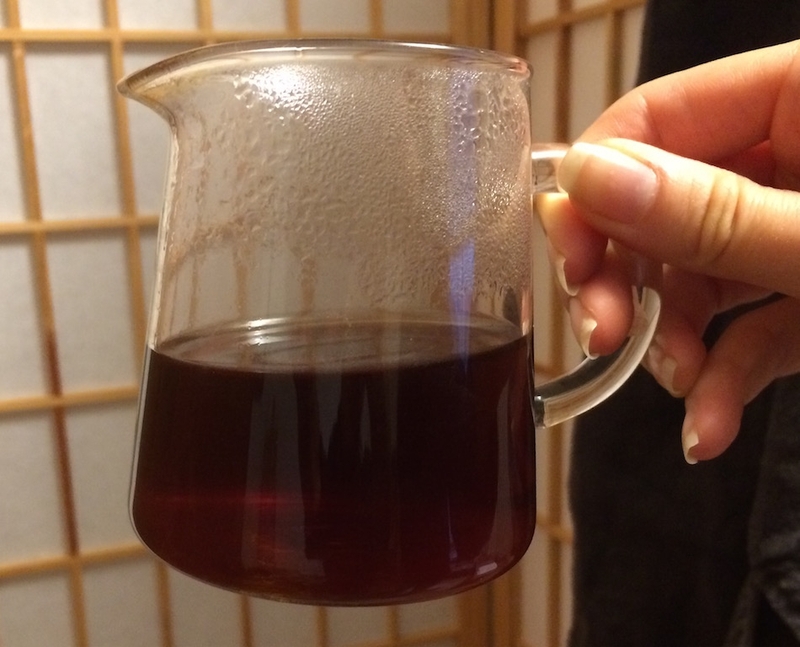 … This results in a deeper, darker liquor than the oolong — though less refined. I only made three infusions of these teas during this sitting, but I think that both could easily have made five to ten with their flavors intact. Neither has full leaf sets, and there were lots of broken leaves and stems (even with the rolled oolong), but this tea does not suffer from that. Based on the appearance of the leaf damage, I’d say the broken ones were in that condition on the plants, not because of poor handling. I also noticed that the cha qi was very energetic. I’ve felt this before with arbor tree sheng puer, where the tea seems to infuse a “wild” energy in the body, but I think this is the first time I’ve felt the same with an oolong and a black tea. Organic farming and hand processing mean that leaves may not look as immaculate as some other teas, but that does not mean that they are poor quality! The skill of the farmer is always present in your cup: the growing conditions, the picking, processing and roasting are all equally important. The proof is always in the taste. 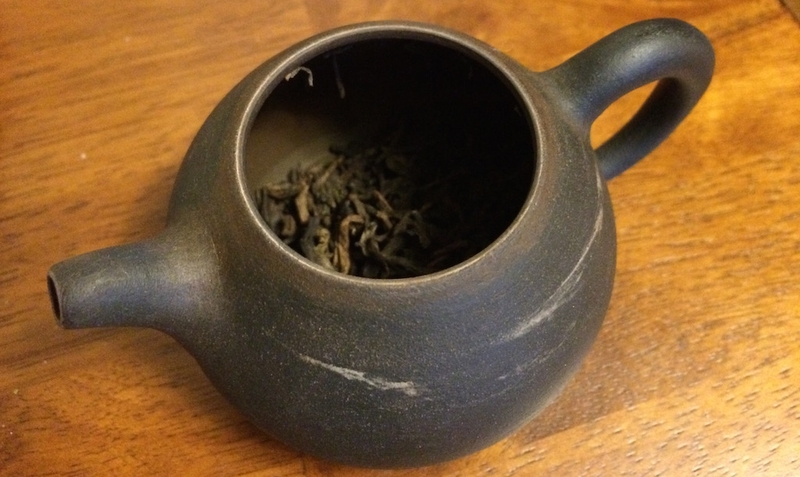 This entry was posted in Tastings and tagged globalteahut, hong cha, oolong, taiwan on June 12, 2014 by payton.